‘New Hope’ was originally formulated for a friend. I hadn’t given the issue of fertility a lot of thought prior, but when I am confronted with a problem, I generally try to find a solution. When we are speaking of things that can be addressed with herbs, this means diving into my books and other research material, and seeing what I can come up with. The woman the tea was blended for wanted to give having a little girl one final shot. However, given her age and some physical concerns, she was worried about her chances to conceive a healthy child. 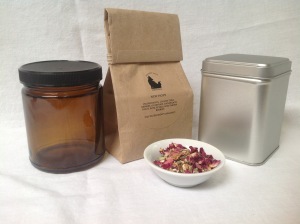 Having had prior experience with our teas and their efficacy, she asked if there was anything that I could blend to help. I did some research, and chose to blend a tea that would approach the potential issues from a couple of different directions. ‘New Hope’ has a number of herbs chosen to make your entire body healthier, to both make it more receptive to a pregnancy, as well as make the pregnancy itself to be a better experience. Additionally, we chose herbs that would help with the hormonal side of things. 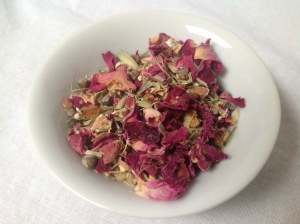 This entry was posted in Medicinal Teas and tagged Fertility, Fertility Problems, Fertility Tea, Mature Pregnancy, Organic Chaste Tree Berries, Organic Dandelion Root, Organic Hawthorn Berries, Organic Oatstraw, Organic Rose Petals, PCOS by DesertSage. Bookmark the permalink. Recieved the tea very quickly. I hope it works! It’s very delicious and I also received it quickly! Wonderful and will totally be coming back again in the future! Bought for a friend, will keep you posted on how it goes! Very tasty fast shipping great experience. I can not say enough good things about this tea or this shop! Not only was the tea yummy it worked! I got pregnant the month I started drinking it! And the costumer service was above and beyond! Some kind and helpful. I have already ordered some teas for during my pregnancy and gifted some to my mom. I am going to be a long term costumer for sure!